Electric car producer Tesla Motors has adapted battery technology for household and business applications. The wall-mounted batteries will make solar power more accessible and throttle grid consumption to diminish loads and bills. 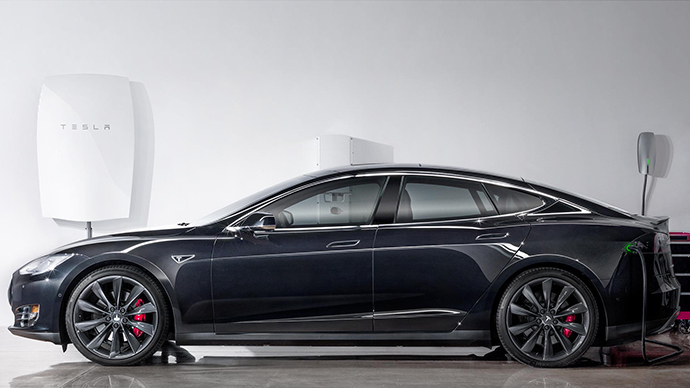 Talked of earlier in April, the home battery products were officially presented this week by Tesla Motors CEO Elon Musk. The company will start shipping its zero-carbon internet-connected Powerwall batteries in a few months, while the business-oriented Powerpack won’t be available for preorder until later in the year. The products, Musk hopes, will cut into the market share of traditional home power storage devices. Powerpacks come in weekly cycle 10kWh and daily cycle 7kWh varieties, stackable to up to nine units at $3,500 and $3,000 respectively. The business model pricing is yet to be revealed. Tesla Energy will ship in the US market first, with Germany and Australia marked as the first foreign markets for expansion. Manufacture will speed up when production moves to Tesla’s gigafactory in Nevada next year. Musk said he views home batteries as necessary components for transitioning to clean energy. Powerpacks can store energy generated by solar batteries and similar renewable sources for later use during peak load hours in the evening and morning. He estimated that 160 million packs could shift the US to renewables while 900 million units would be enough for the entire world. In countries with underdeveloped power grids, they could serve to leapfrog infrastructure the same way mobile phones outpaced landlines, Musk said. For people not interested in going off the grid, the batteries would cut energy bills by charging during the hours of cheaper rates and supplementing grid supply during the hours of expensive peak load. They also serve as backup power sources.